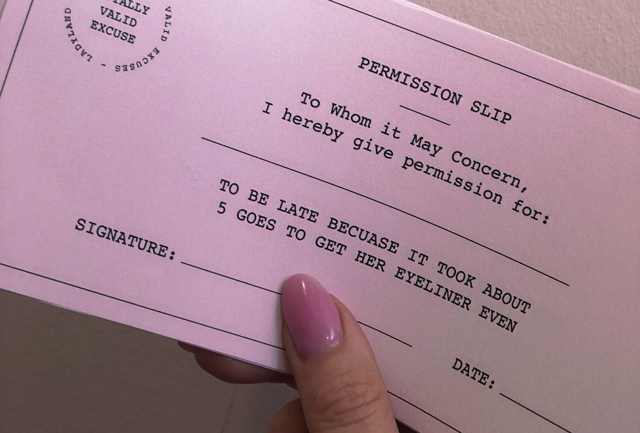 Hey, ladies here’s something you can give YOURSELF on Mother’s Day… Remember the glory days of the permission slip? When you could get your mum to write you a note to get out of stuff you didn’t want to do?Well, I’ve brought those days back. 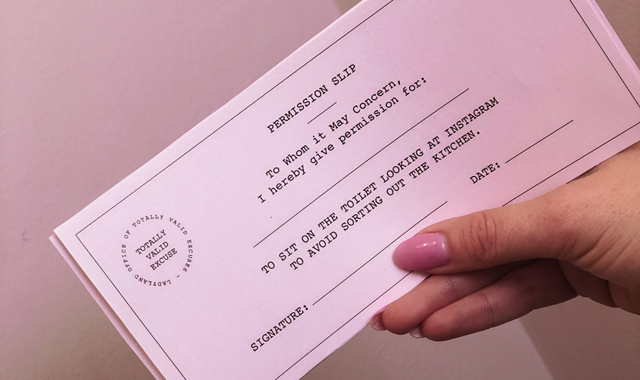 Now you can be the mum as well as alleviating your mum guilt by giving yourself permission to bunk off whatever obligation you can’t be arsed to do. 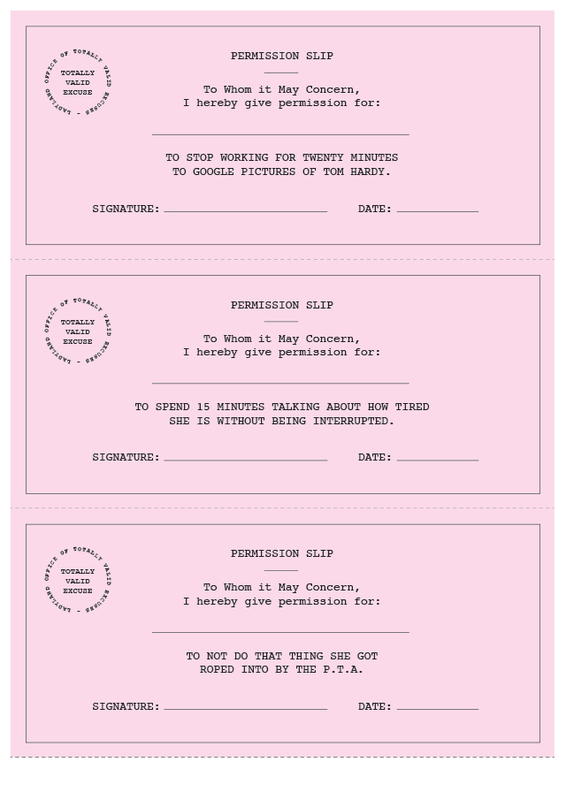 Print them out, have them handy then hand them over to yourself as an official document of self-love. 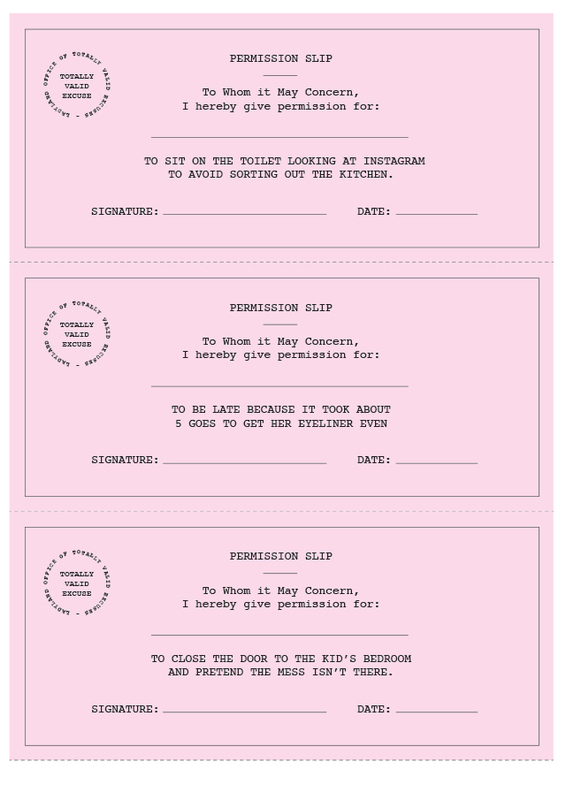 Or print out a set for a mum who could do with giving herself a break. 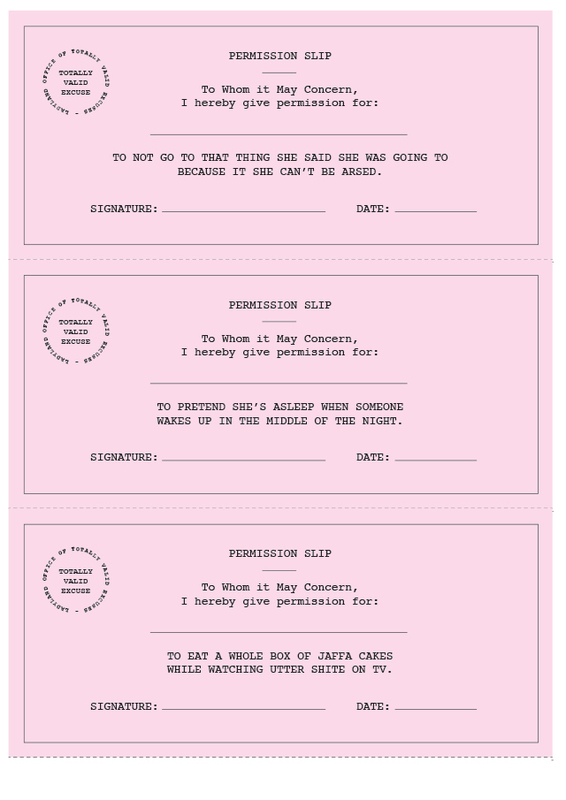 Click here to download your nine permission slips, you just need A4 paper and a printer.